Located directly at the entrance to the historic city of Petra, the luxurious Mövenpick Resort Petra is certainly one of the most notable hotels in the Middle East. Condé Nast readers in the United States have placed the Mövenpick Resort & Spa Dead Sea and Mövenpick Resort Petra in the top ten best resorts in the Middle East. Earlier in the year readers of Condé Nast Traveller United Kingdom voted Zara Spa at Mövenpick Resort & Spa Dead Sea as global overall winner of the Destination Spa category. In October readers of Condé Nast U.S.A. selected Mövenpick Resort & Spa as the fifth best resort and Mövenpick Resort Petra the ninth best resort in the Middle East. 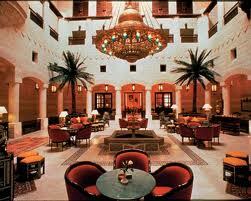 The rating was based on activities, facilities, food, dining, location, overall design, rooms and service. The Mövenpick Resort Petra is a modern 4 storey building just a few minutes walk from the main entrance to the famous Nabatean site of Petra. 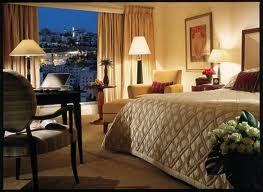 It offers the best accommodation in the region in terms of service and location. The 183 rooms are all well equipped with modern facilities and furnishings.